If you’ve ever written the same song twice, you probably did so out of habit. Songwriters lean on familiar melodies, chord progressions, and rhythmic phrasings because they’re more comfortable playing that material more than anything else. If this sounds like you, maybe it’s because these ideas are the first ones you developed when you first learned to make music or it could be because you’re trying to replicate the elements of another song you wrote that was successful. Either way, writing the same song twice isn’t a good idea. Copying and pasting the same material from a song you’ve already written into the new music you’re working on isn’t just bad for your audience, but also for yourself. Repeating the same ideas means that rather than creating something new, you’re just spinning your wheels by churning out old ones. And even if the song you’re ripping off from yourself was successful, writing it all over again with minor changes here and there won’t capture the same energy and impact it had the first time. If you’re bored and out of ideas, your listeners will notice. Like I mentioned before, habit brings a lot of benefits for musicians as far as playing instruments and remembering concepts goes. 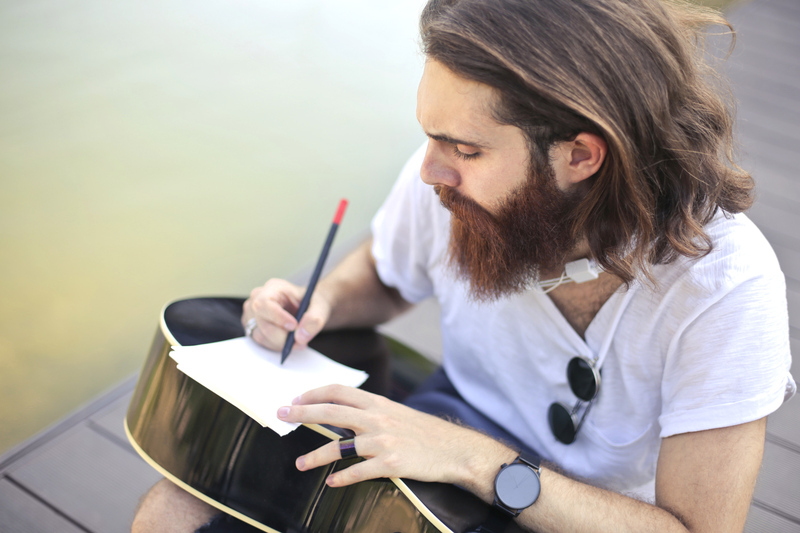 But for songwriting, it can be detrimental for songwriters trying to embrace creativity. Since a major function of habit is to eliminate risk and learning from things, approaching your work with a focus on curiosity is a good idea. What would happen if you wrote the lyrics for your music before doing anything else? What would it sound like if you wrote a song with a super slow tempo or one that incorporated dissonance? How would it work if you only played riffs on the guitar instead of full, open chords? Adding newness into your process is the key here, and when we’re unfamiliar with something, it means that failure is likely. But you can’t be an intrepid songwriter without failing, unfortunately. Habits in songwriting ensure we won’t fail, but adhering to them also means that we probably won’t come up with anything good. If you can approach your work with a fearless curiosity, you’ll have the best chance at making something new as opposed to regurgitating the same tired ideas over and over again.